HHI Direct bolt on 6 piston caliper for 1984-1999 and up Narrow Glide models with wire wheels only. 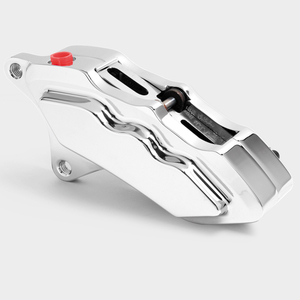 This caliper is not compatible with billet aluminum or mag type wheels. Click here for our standard 6 piston bolt on Caliper.